If you are looking for a wine to kick off the unofficial start of summer and honor the brave men and women who serve our country, pick up a bottle of 2013 Purple Heart this Memorial Day Weekend. Whether you are grilling in your backyard, sitting poolside or curled up on your couch , treat yourself to this medium bodied red from Napa Valley that has notes of plums, blackberries and a hint of black licorice. Purple Heart Wine pairs well with grilled meats and soft cheeses and will be a hit with die-hard burger fanatics however, the most amazing aspect of this stunning blend of Merlot, Cabernet Sauvignon, Cabernet Franc and Petit Verdot is that is crafted from a Vietnam veteran and an annual portion of the proceeds go to the Purple Heart Foundation which is dedicated to assisting the needs of U.S. military servicemen and women and their families. 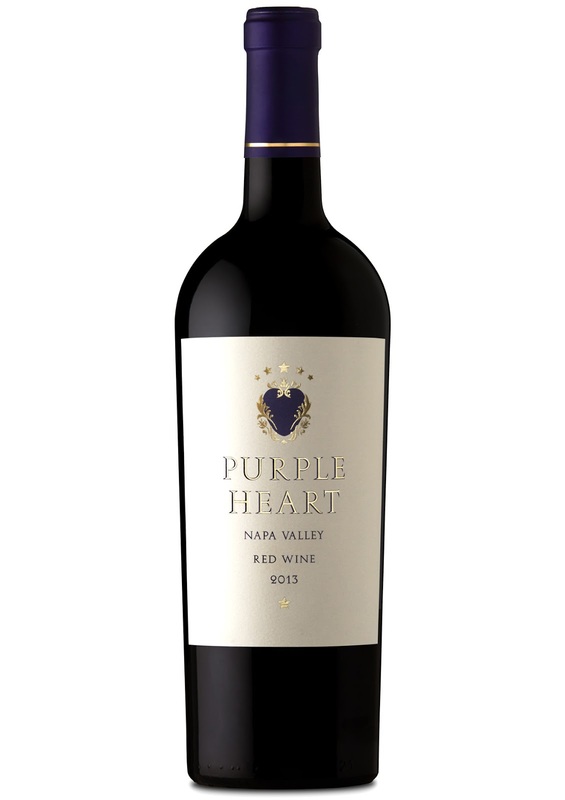 With a MSRP of $19.99, Purple Heart Wine also makes an amazing last minute hostess gift as well a great gift for Dad and with it being a worthy tribute to the brave soldiers who have served this country it truly makes for a great conversation starter. With the ongoing struggles of all of our veterans who have served in everything from World War II, Korea wars , all the way up to present day Iraq and Afghanistan occupations, this wine is a tribute to their determination and honor to preserve our country. So, as you toast to hopefully excellent weather, a day off and all those other things, make sure you toast with Purple Heart Wine and make a donation to the Purple Heart Foundation and honor our veterans.